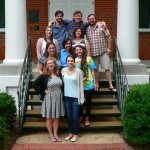 These Southern Studies alums are all documentarians. Whether they are producing a podcast about a beloved home region, filming lectures on the history of fishing, making films for social change, or producing content for StoryCorps, they all help explore the varied nature of the South with their investigations. The members of the 2017 MA cohort have never met a stranger—including each other. 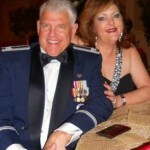 Our fast bond stems from shared appreciation of Southern music, happy hour, and good food. We’re excited to spend the new two years collaborating with each other, especially considering the wide range of backgrounds we bring to the table. Here, we introduce ourselves and our favorite songs, in the hope that you will join us for a karaoke night out. 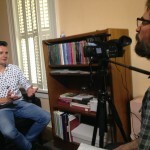 We’re starting an occasional series of interviews of visiting speakers at the Center by Southern Studies grad students who are working with Dr. Andy Harper and the Southern Documentary Project. These interviews will explore a scholar’s inspiration to pursue a particular line of research and their experiences teaching courses on the American South in different contexts. Those who have attended the Center’s weekly Brown Bag Lecture Series and other events in Barnard Observatory over the years will now be greeted by a new receptionist—one who may, in fact, be recognizable. 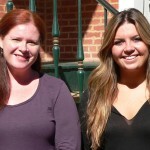 In early September, Margaret Gaffney joined the Center staff as its new staff assistant. The Mississippi Arts Commission today launched a new digital version of the journal Mississippi Folklife, a publication with a long history at the Center. Congratulations to the MAC, and especially Jennifer Joy Jameson, the Folk and Traditional Arts Director, managing editor. 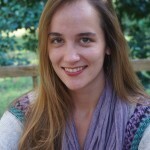 We’re particularly excited about the involvement of Amanda Malloy, a current SST graduate student who serves as Visual Arts Editor. 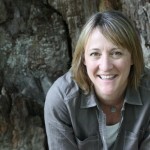 Amy C. Evans, former SFA oral historian, is the Custom Editor. Mississippi Folklife will also include a “Mississippi Stories” series of films produced by Rex Jones of the Southern Documentary Project.